Welcome to the September 8, 2017 edition of ACM TechNews, providing timely information for IT professionals three times a week. The European Union is funding the development of the EuroEXA project, a series of initiatives to deliver a full high-performance computing (HPC) system based on ARM Cortex processors and Xilinx Ultrascale field-programmable gate arrays with the goal of implementing an energy-efficient petaflops system by 2020. The EuroEXA project aims to lay the foundation for realizing exascale capability within the 2022-2023 timeframe. "In EuroEXA, we have taken a holistic approach to break down the inefficiencies of the historic abstractions and bring significant innovation and co-design across the entire computing stack," says University of Manchester professor John Goodacre. He notes the effort will involve an integrated and operational prototype HPC system that will be validated with use cases throughout multiple domains, including climate/weather, physics/energy, and life-science/bioinformatics. The EuroEXA efforts are designed to span "research, innovation, and action across applications, system software, hardware, networking, storage, liquid cooling, and datacenter technologies." Researchers at Zhejiang University in China have developed a method to hijack intelligent voice assistants such as Siri and Alexa using sounds above the range of human hearing. The researchers employed ultrasound to activate the assistant and take control of the speaker, smartphone, or other device, as well as accessing any connected systems. 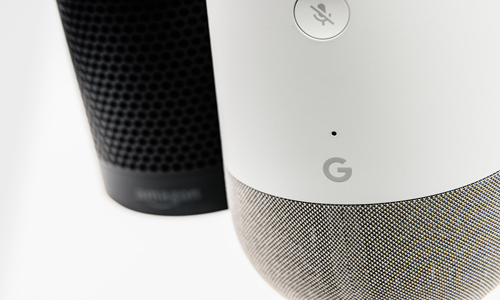 The team says the attack works by converting the usual wake-up commands "Okay Google" or "Hey Siri" into high-pitched analogues. When a voice assistant hears these sounds, it recognizes them as legitimate commands. The researchers were able to use this technique to open a malicious website to download malware and start a video or voice call to spy on its surroundings. The team says an attacker would need to be near the target device for the hack to work, but it may be possible to play the commands via a hidden speaker as the attacker walks past. Researchers at ITMO University in Russia have developed an algorithm that enables users to find the most popular attractions in St. Petersburg based on Instagram posts from locals. The researchers first collected all St. Petersburg-based Instagram posts taken during the tourist off-season, and then coders used the photos to identify posters and study their profiles. Official tourist statistics also were employed to more effectively identify residents, while the top 15 tourist locations were omitted. ITMO University's Ksenia Mukhina notes the algorithm automatically sorts popular sites into five categories--theaters and museums, restaurants and bars, bridges and streets, parks, and other. "The creation of a recommendation service which follows photographs of interesting places in real time is a logical continuation of the current results," Mukhina says. "This is what we are currently working on." Researchers at the Swiss Federal Institute of Technology in Zurich (ETH Zurich) have tested a novel magnetic writing method that is faster and consumes less energy than traditional magnetic storage technologies. The team inverted the magnetization of a cobalt dot 500 nanometers in diameter using electric current pulses that flowed via an adjacent platinum wire. The researchers also exposed the cobalt dot to strong x-rays, which scanned the dot successively with a spatial resolution of 25 nanometers. The strength of the dot's x-ray absorption at a particular point was influenced by the local magnetization direction. The inversion occurred in less than a nanosecond, and the team transmitted up to 1 trillion inversion pulses through the cobalt dot at a frequency of 20 MHz without degrading inversion quality. "This gives us the hope that our technology should be suitable for applications in magnetic [random-access memories]," says former ETH Zurich researcher Kevin Garello. The Massachusetts Institute of Technology (MIT) and IBM have announced a project to probe new deep-learning approaches and devices, materials, and physical phenomena to advance artificial intelligence (AI), including quantum computing. The partners will establish a new research facility based at MIT for hardware innovations, as well as new types of machine-learning algorithms. The latter area of concentration will explore algorithms that could enable computers to gain knowledge from unlabeled data, as well as those that could make possible the transfer of learning from one domain to another. "We're not going to be designing algorithms that are completely independent of the architectures we're going to be using," says Anantha Chandrakasan, dean of MIT's school of engineering. "We'll see system-level thinking." Chandrakasan also says the facility will investigate the practical application of AI in specific domains, including computer security and healthcare. Researchers at the University of Washington are developing PupilScreen, a smartphone application that can objectively detect concussions and other traumatic brain injuries. The app uses a smartphone's video camera and deep-learning tools to detect changes in a pupil's response to light. The pupillary light reflex has traditionally been used to assess whether a patient has severe traumatic brain injury, and recent research shows it can be useful in detecting milder concussions. 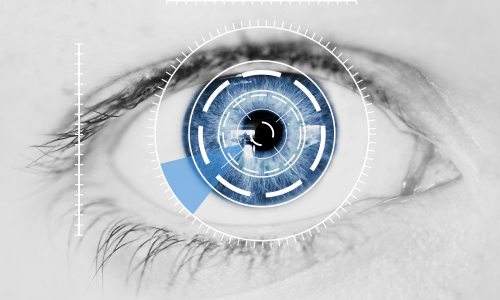 The researchers showed PupilScreen can be used to detect instances of significant traumatic brain injury, and a broader clinical study this fall will enable coaches, emergency medical technicians, doctors, and others to test the system and gather more data on which pupillary response characteristics are most helpful in identifying concussions. PupilScreen uses deep-learning algorithms that can determine which video pixels belong to the pupil in each video frame and measure the changes in pupil size across those frames. The Python programming language's core development team is pushing for key improvements in four areas, including startup time acceleration for the CPython interpreter. The team says this speeding up will incentivize usage of CPython and upgrades to Python in general. A second improvement involves expediting runtime by optimizing named tuples, or immutable lists of objects accessed by their index positions, in CPython. Python creator Guido van Rossum notes this upgrade promises to cascade down to all third-party apps that use CPython. Meanwhile, developer Victor Stinner thinks the refactorization of CPython's internal application programming interfaces to conceal their implementation details could enable developers to experiment with new, more risky optimizations with greater ease, and make CPython's code less cumbersome to navigate and comprehend. A final possible upgrade could involve the elimination of the Global Interpreter Lock (GIL) to facilitate multithreaded operations, although current experimentation shows GIL removal can neutralize backward compatibility with C extensions. Researchers at the University of California, Davis (UC Davis) have developed a high-frequency electronic chip that has the potential to transmit tens of gigabits of data every second, much faster than the fastest Internet connections today. The researchers designed the chip using a phased-array antenna system, which funnels the energy from multiple sources into a single beam, which can be narrowly steered and directed to a specific location. The researchers found the chip successfully operates at 370 GHz with 52 GHz of bandwidth. "As we continue to migrate to systems like cloud computing and next-generation cellular networks, the need for speed is growing," says UC Davis professor Omeed Momeni. "Higher frequencies mean more bandwidth and more bandwidth means higher data rate." Momeni notes the new technology demonstrates it is possible to harness the large available bandwidth at millimeter-wave and terahertz bands on a single, compact chip. Researchers at the National Center for Scientific Research (CRNS) in France and IFFSTTAR (the French institute of science and technology for transport, spatial planning, development, and networks) have developed NoiseCapture, an application created within the framework of the ENERGIC-OD European project that unites specialists in environmental acoustics and geographic information. NoiseCapture is accompanied by a comprehensive information system that can store, query, and share collected data. In addition, the system functions in real time, and will enable the creation of a permanent global database. The research teams want to open up research on the sound environment to the broadest possible audience. 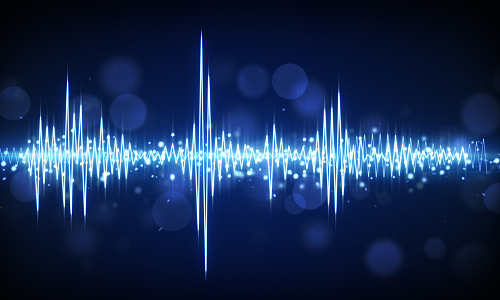 They have developed NoiseCapture as an "open science" project, made resources available under an open source license, provided the data they collected under an open data license, and published the resulting research in open access journals. The researchers want to use the NoiseCapture project to involve citizens in the control of their territory, especially in matters of noise pollution. Researchers at the KTH Royal Institute of Technology in Sweden say they have developed the framework of a system that could lead to enabling optical quantum information processing on a chip. The system integrates artificial atoms, also known as quantum dots, in silicon-based photonic chips. The researchers generated and filtered single photons on-chip without the use of any external components. The team used a novel nano-manipulation technique to transfer selected and pre-characterized single photon emitters in nanowires on a silicon chip. The researchers then built an integrated optical circuit to filter single photons and multiplex them, which enables the system to use multiple quantum dots to generate light in various "colors" that can be used to encode different information on the same chip. "There is no room for randomness or chance when it comes to the characteristics of the source or its location in the optical circuit, unlike previous approaches," says KTH researcher Ali Elshaari. Researchers at the VTT Technical Research Center of Finland have analyzed deploying a logistics robot system at the Seinajoki Central Hospital in South Ostrobothnia, Finland, with the goal of cutting transportation costs, improving supplies availability, and mitigating congestion in hospital hallways via 24/7 deliveries. The researchers found the system's success relied on joint planning and dialogue between occupational groups and stakeholders. 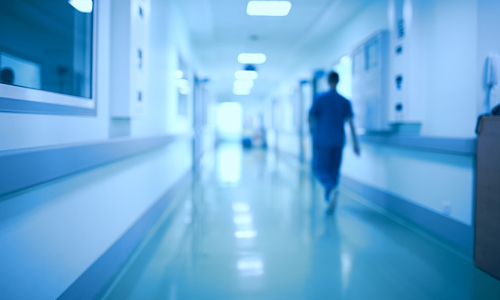 Of particular importance was accounting for the interdependencies between various players, along with their roles in the hospital's core task. The researchers note the smooth process of robotic adoption overall demands careful planning, piloting, and implementation. "As the system is expanded with new robots and types of deliveries, even more guidance, communication, and dialogue is needed," says VTT's Inka Lappalainen. "Joint planning that brings various players to the same table ensures that the system's implementation goes as smoothly as possible, making it easier to achieve the desired overall benefits." IBM Research scientists have theorized that neurogenesis underlies sparse dictionary learning in the hippocampus, and they have written a neurogenetic online dictionary learning (NODL) algorithm that tops the performance of standard ODL, enhancing reconstruction accuracy by generating more-compact representations. "We are the first group to make a detailed analysis of the functions of birth and death of neurons from stem cells in the hippocampus," says IBM Research's Irina Rish. Instead of mimicking neurogenesis in the hippocampus, Rish's group focuses on uncovering neurogenetic functions and then incorporating them within algorithms that execute the same functions. Rish's team posits the dentate gyrus of the hippocampus can augment cognitive functions, including pattern separation and recognition. The researchers say neurogenesis adds a new layer to machine learning by enabling newly grown sparse neural networks to perform wholly new tasks, and the deletion of obsolete tasks via the death of old, little-used neurons. A team of researchers has been conducting experiments into improving password security, using scientific methods so that such passwords are difficult for computers to guess. The researchers found many users often subscribe to misconceptions, such as thinking that adding a number or punctuation mark to the end of their password will strengthen it. They also say their findings indicate it is more important for passwords to be longer instead of more complicated, while long passwords still tend to be predictable. 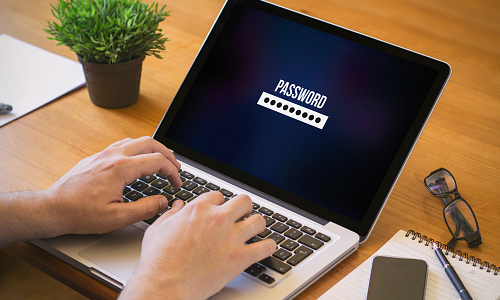 The researchers note providing feedback while people are creating new passwords can help significantly, and their password meter uses an artificial neural network to rate password strength based on analysis of other passwords. Among the team's recommendations are making passwords at least 12 characters long, and mixing in at least two or three different types of characters in unpredictable places. They also advise against reusing existing passwords for multiple, sensitive accounts. An article from the University of St. Andrews reported on in TechNews on Wednesday said researchers at the U.K. university are launching a competition to find an efficient solution to the famous "Queens Puzzle," which offers $1 million to the winning team. However, that is inaccurate, and no million-dollar prize is being offered. Although a recent paper on the complexity of the n-Queens Completion Problem by researchers at the University of St. Andrews could lead to a new attack on the P vs. NP problem, one of the Millennium Prize Problems, it would not justify the award of the Millennium Prize. "Unfortunately, some reports of our work have given the impression that solving the 8-queens puzzle, or the n-queens puzzle for all n, might result in the award of the Millennium Prize," says Ian Gent, one of the paper's authors. "This is not the case."